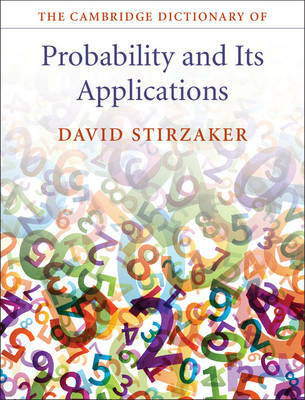 Probability comes of age with this, the first dictionary of probability and its applications in English, which supplies a guide to the concepts and vocabulary of this rapidly expanding field. Besides the basic theory of probability and random processes, applications covered here include financial and insurance mathematics, operations research (including queueing, reliability, and inventories), decision and game theory, optimization, time series, networks, and communication theory, as well as classic problems and paradoxes. The dictionary is reliable, stable, concise, and cohesive. Each entry provides a rigorous definition, a sketch of the context, and a reference pointing the reader to the wider literature. Judicious use of figures makes complex concepts easier to follow without oversimplifying. As the only dictionary on the market, this will be a guiding reference for all those working in, or learning, probability together with its applications.